Capital Region Water crew member Buck using a valve turning tool to exercise a water main valve. Capital Region Water began a formal valve exercising program in August 2017 to ensure reliable, safe drinking water for its customers. Through this program, Capital Region Water’s crews will mechanically exercise every valve in the system to make sure they work when they are needed most. Regular valve exercising is an industry best practice but staff limitations prevented such a program prior to Capital Region Water taking over the operation of the water system in late 2013. Many valves have been paved over and need to be located and reset. Some valves are found in the closed position and are reopened to restore flow and pressure. Minor repairs are performed immediately when needed. Some valves need to be completely excavated and replaced. The goal for Capital Region Water’s valve exercising program is to maintain consistent progress each month to exercise all valves in the distribution system every two years. 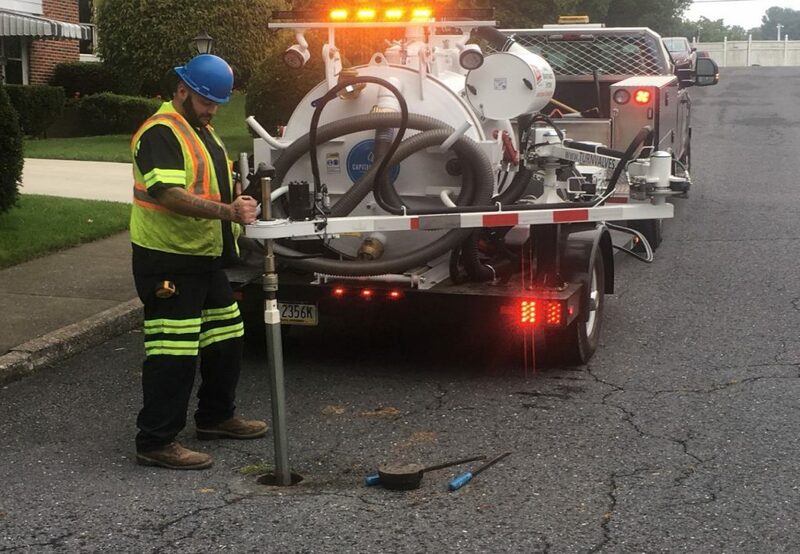 Proactive valve turning in conjunction with Capital Region Water’s asset management system will enable Capital Region Water to maintain important information such as the size of valves, direction of turns, and amount of turns to close the valve. This will help with quicker and easier water main shut downs for main break response. There are presently 3,375 water main valves in our distribution system, 927 hydrant valves, and 73 control valves or air release/vacuum valves with a total of 4,375 valves system wide.